Ok, so you’ve got a family vacation coming up. And you get to fly to your destination! Are you excited? A little nervous? Or maybe a lot nervous? 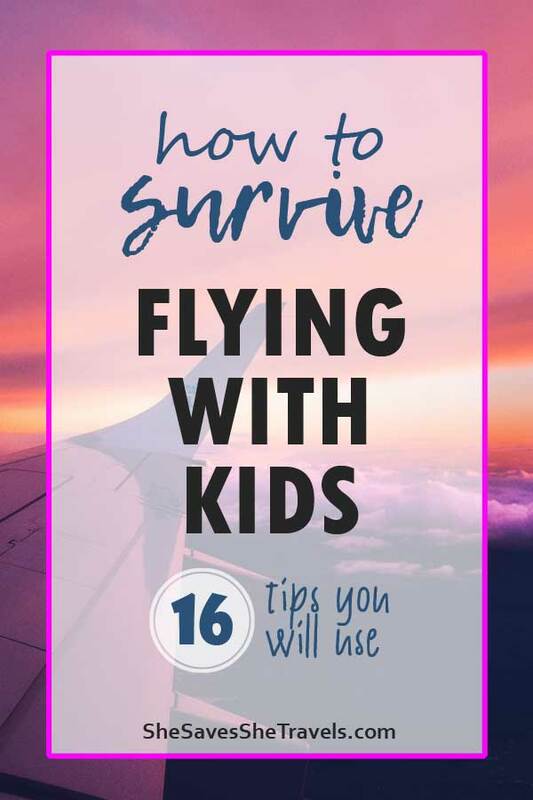 Well read on for tips to calm your nerves and keep your sanity when flying with kids. 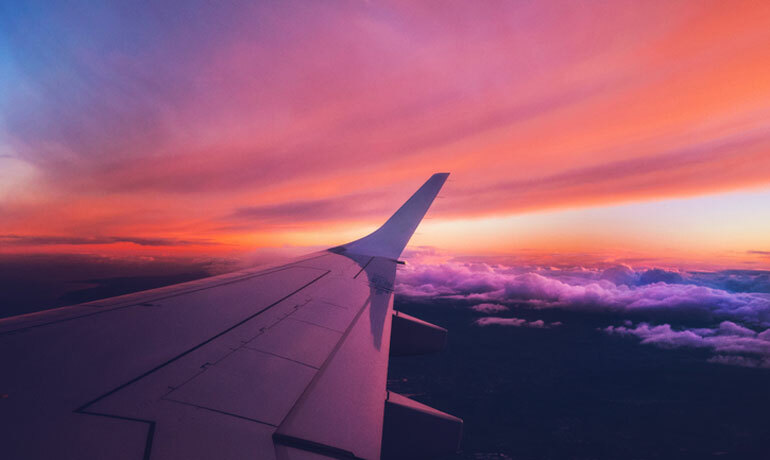 You’re looking forward to getting on that plane to finally BE ON vacation, but that little voice in the back of your mind is reminding you of all that could possibly happen. Will they run off and get captured by a stranger? Unlikely. Will they fall and break their arm while running around the swimming pool, even though you’ve told them 100 times not to? Probably not. Will they have an allergic reaction while eating shell fish for the first time? Well, we’ll hope not. Will they fall off the dock while petting the dolphins and get stung by a sting ray? Seriously, what are the odds of that? You will make memories that last a lifetime, and stories to tell for years. You will probably take a gazillion pictures, and friend, you might even get a great one of the whole family smiling at the camera. You’ll show your children that life can be different than their normal, everyday routine, and that new places can be a lot of fun. You will feel stressed at times, but overjoyed at others. 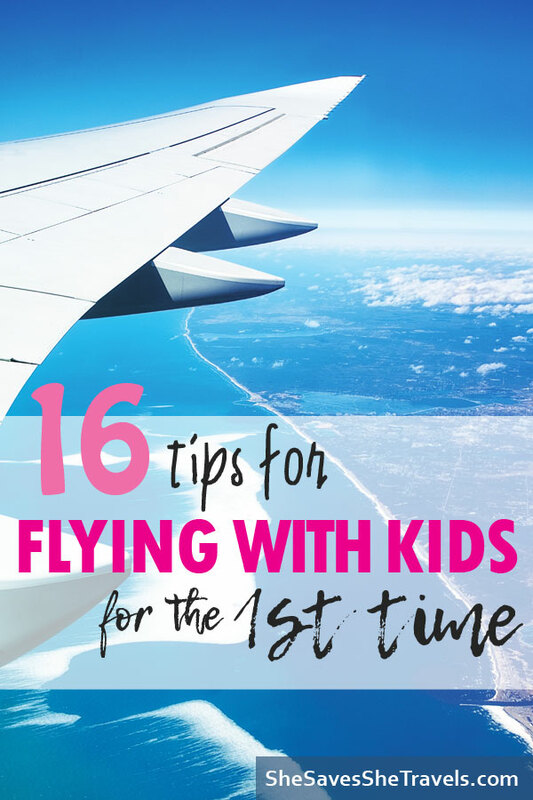 Vacations are all about the experience, and flying with kids is part of it! 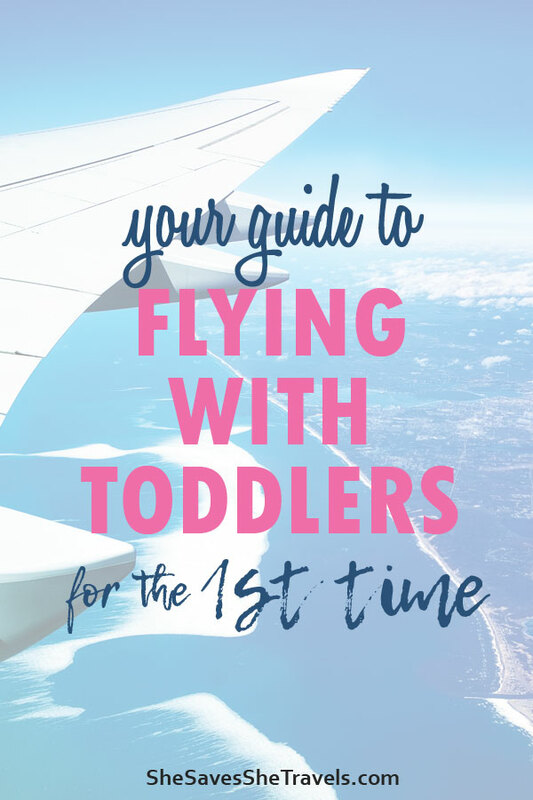 So before I get to the best tips for flying with kids, let me tell you, fifteen years ago I never thought I’d be writing an article about flying tips! I used to be an anxious wreck, who often times got motion sick when flying. But each flight it gets a little easier and today I can hop on a plane with very little anxiety. And I’ve got some motion sickness tips, too, which I will share in a separate blog post another time. Ok, so let’s dive in. Talk to your kids about listening while on the plane and in the airport, why it’s important, and what will happen if they don’t. This obviously works depending on the age of your child, but even for little toddlers it’s important to remind them over and over again. This allows you to have your hands available for young kids. Take a back-pack or cross-body purse as a carry-on for a flight. This way you’re not carrying a purse, suitcase or bag that requires a hand. Use those shoulders! Make sure your important items (phone, passport, ticket, wallet) are within an easy to reach pocket. 3. Bring snacks. Snacks. SNACKS! And more snacks. Try to pack (and hand out) healthy snacks first like apples, bananas or trail mix. Next I’d recommend items that take a long time to eat, like suckers and mints. You may also want some crackers or other foods for fillers in case of delays. Tip: if you’re traveling internationally, make sure you bring everything in the original package, so buy snack portions. 4. Bring a water bottle for you AND one for your child. Pack your own empty extra. This is a staple for flying with kids! You can seriously save so much money by refilling your own cup. After you get through security, fill it up before you get on the plane. Bonus: you won’t have to wait for your in-flight drink and snack. There comes a time in life when you just need to get out of town. You’ve been there, right? Whether you’re tired of the same old routine every day, or want something big on your calendar to look forward to, a vacation can pull you out of a funk. 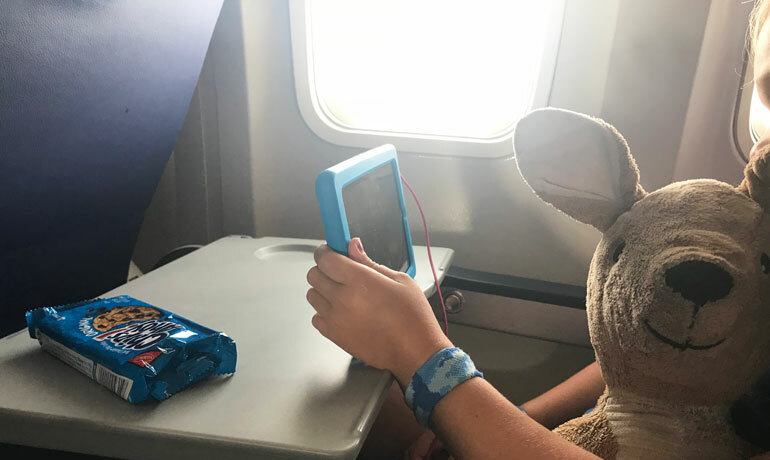 If your kids have ever complained about being car sick, or don’t like amusement park rides, you’d better think about what to do if they get sick on the plane. I definitely can’t give medical advice, but ginger, mints and essential oils are a great place to start for little tummies. 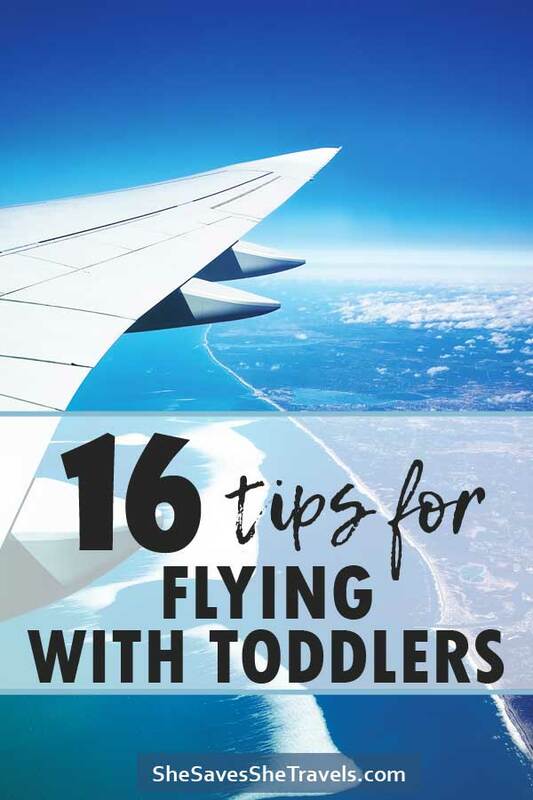 If it’s the first time you’re flying with kids, it can be great entertainment for them to watch out the window. A window seat can also help with motion sickness, too. As a general rule, let them bring only activities that will fit in their backpacks, that they can carry. And think seriously about letting them bring their favorite well-loved toy, unless they are at an age where they understand the consequences of leaving it behind. 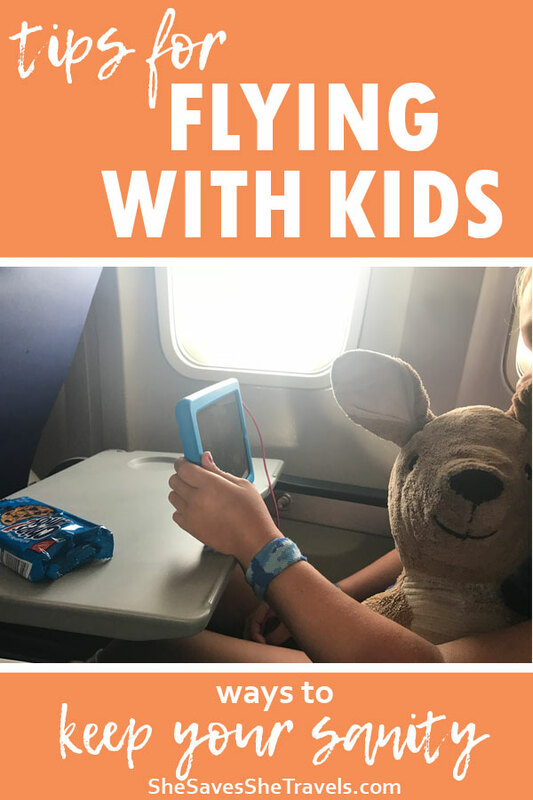 It’s really fun for young kids to present them with new little toys and games throughout the flight to keep boredom from creeping in. Also think about clever, interactive games like Eye Spy. It works in the car, so why not the airport? There’s so much to see between people-watching, shops and restaurants. 9. Don’t bring rolling toys or activities on a plane! No cars, markers, balls, etc. I learned this early on when traveling with my toddler years ago! Because coloring is a great way to pass the time, I do recommend taking some supplies with you, like these triangle-shaped crayons. 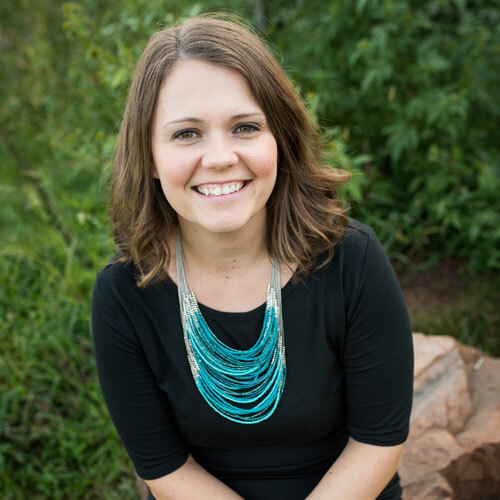 Be sure to sync content before you go! You won’t have WiFi on the plane, or at least not enough to download content, and the last thing you want is to be stressed out at the airport while you’re trying to download favorite shows. Also don’t forget headphones for your kids. Planes are very noisy and your kids will need them. You just never know when a battery will die! This is all about being prepared, friends! I’ve seen another (genius) mom do this at the airport during a layover. She basically set up a tablet for her little ones to watch and told them they could lay down and hang out to relax as they were watching the movie as long as they stayed on the blanket. The temperature in planes can be extreme, so be prepared by packing layers in your carry-on. You’ll want to leave space in your child’s backpack for activities and toys. This is also an area that you could talk to your kids about in advance. Reiterate the importance of going potty as many times as you ask them to, so they’ll just accept it at the airport. Then make sure you go after security. I’d recommend about ten minutes before boarding begins, if possible. Keep in mind that lines at airports and during the flight can be long so try to manage it ahead of time. As much as you can prepare, just know that when nature calls, there’s not much you can do about it except to be understanding. This one is SUPER important! We all know, everything takes longer with children. When you’re planning your trip, if you have multiple flight options, always go for the one with the longer layover. So if you’re given the option of one hour or two, choose two. This allows time for potty breaks, snacks, and getting from one terminal to the next. Likewise, plan to arrive at the airport extra early on your way to vacation and back home. Everyone is less stressed out when you have ample time at the airport. Traveling can be stressful on parents and children. Remember that the airport might be a new place for your children, so they could want to explore and ask lots of questions. Meanwhile, all you want to do is to get to the gate. Make a commitment ahead of time to bring your patience during the flight and all the connections. 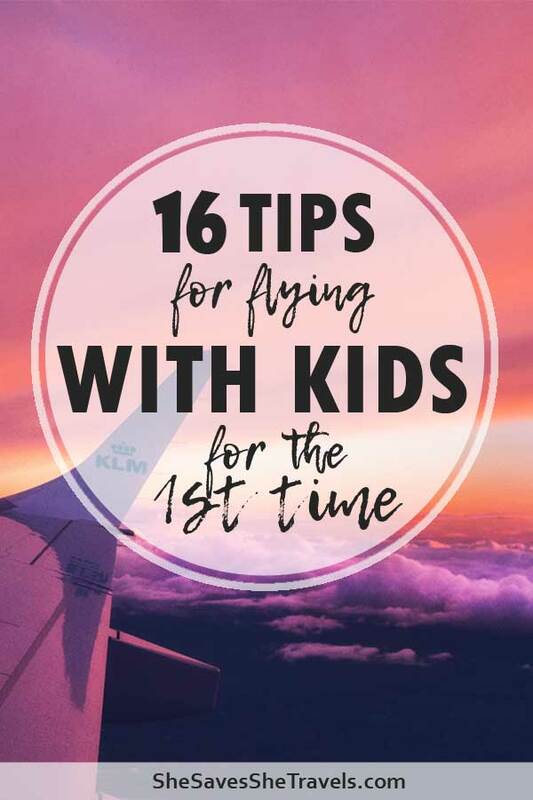 Some things will go great when you’re flying with kids, and you may have something unexpected happen at the airport or during your flights. But you know what? That’s ok. You will get to your destination, and I’m 99% sure you will have a great vacation. You will create experiences that you can cherish, and maybe a few you can learn from! Flying with kids can be fun, if you approach it with the right mindset. It’s time to assume the best and have a great trip! 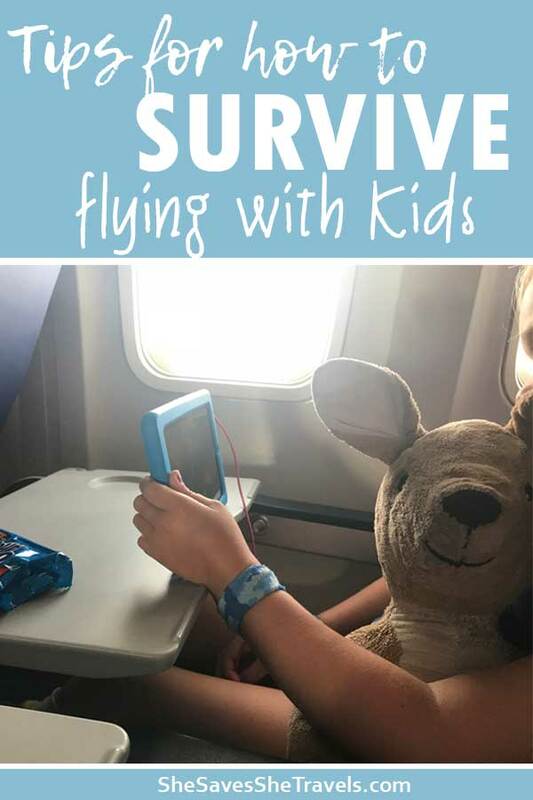 i wish i had read this before i took my kids on a flight. these tips could have come in very handy! Isn’t it funny how life’s timing works out? Hopefully your last flight went smooth though, and future flights even better! I love these tips! I have 3 little kids and we travel a lot and PATIENCE is definitely needed. And Snacks like you said. Lots of snacks! Aww, thanks Courtney! Patience can sometimes be the most important, especially if you’re dealing with delays and crabby kids on top of it. That’s why everyone needs snacks. 🙂 Thanks for stopping by. These are great tips! I have three kids and sometimes going to the grocery store is a daunting task. These tips will sure help with some travel anxiety. Glad you can use these tips, Susan! Great tips! I’ll definitely be coming back to go over all these the next time we fly! I guess rolling toys and markers would be a bad idea especially for my toddler!! Thanks Kellen! The first time my husband and I flew with our daughter, we brought her favorite ball toy set. It was a disaster! I’m happy you found the tips useful! Great tips! We’ve flown with our little guy a few times but with every age there are new challenges. Thanks for putting this together! Yes I totally agree each age comes a new challenge with flying – just like in life, I guess! Thanks for stopping by, Nina. These tips are super helpful. My kiddo is still a baby, but we will be using these ideas soon! I love the idea of having a blanket for them to lay on at the airport. 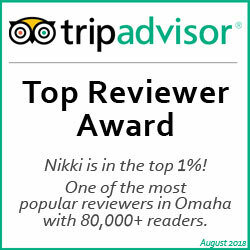 I’m bookmarking this so I can come back to review as we are packing for our upcoming trip! 14 hours on a plane with a two-year-old is bound to get interesting! Your best tip is patience! Ha H I also like the idea of layers you never know what the temp will be in the plane. Great Advice! !